Cobblers seem so Fall to me; brown sugar, cinnamon, and big chunks of fruit make me want to snuggle under a blanket with a loved one. 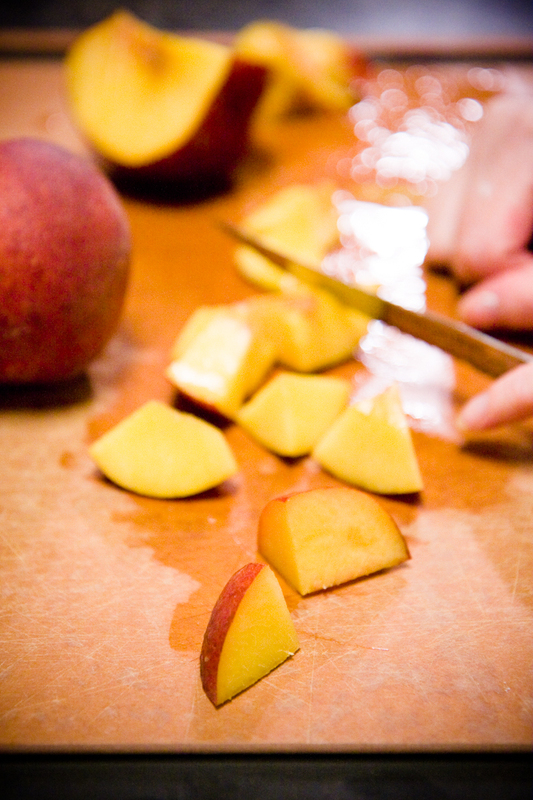 But, peach cobbler is so much better in the summer when it can be made with fresh fuzzy peaches (I happen to adore the fuzz) rather than the uniform slimy ones from a can. 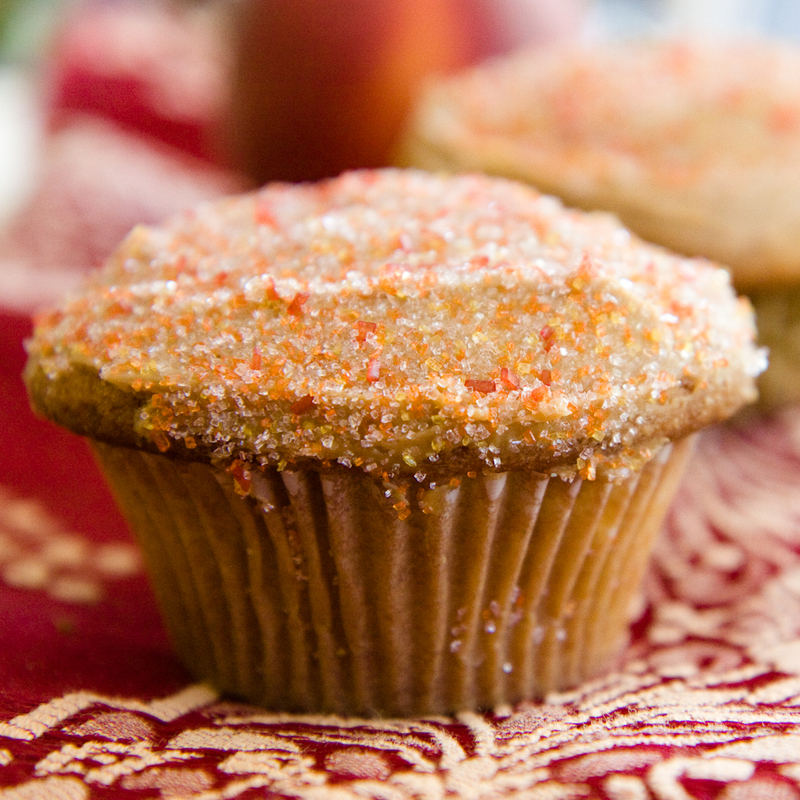 My peach cobbler cupcakes take the essence of cobbler and turn it into a treat that you don’t need a fork to enjoy. They are moist and rustic – the cupcakes won’t look identical because peach chunks poking out of the sides and tops of some of the cupcakes will give them a definite homemade look. 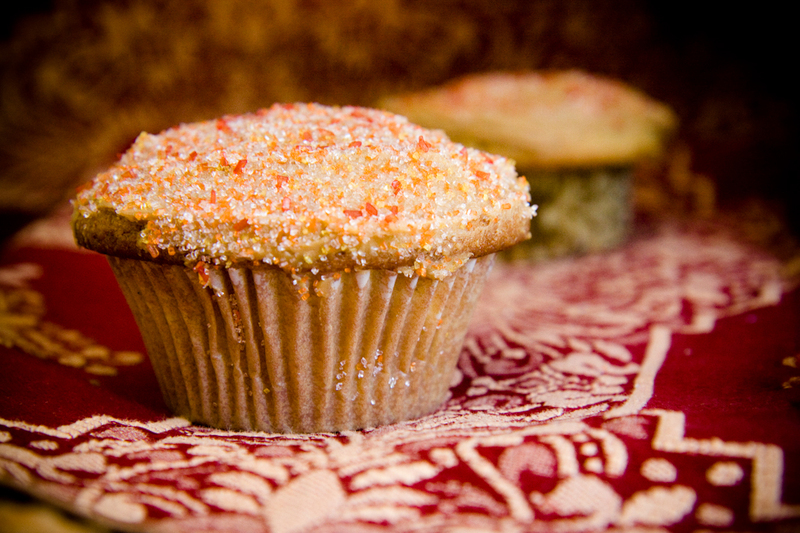 For those bemoaning the lack of crumbs, you can follow my crumb topping recipe and throw some on top of the frosting. However, I think that the coarse colored sugar serves as a nice substitute. I’m all about homemade. You never see me promoting cake mixes or tubs of pre-made frosting. 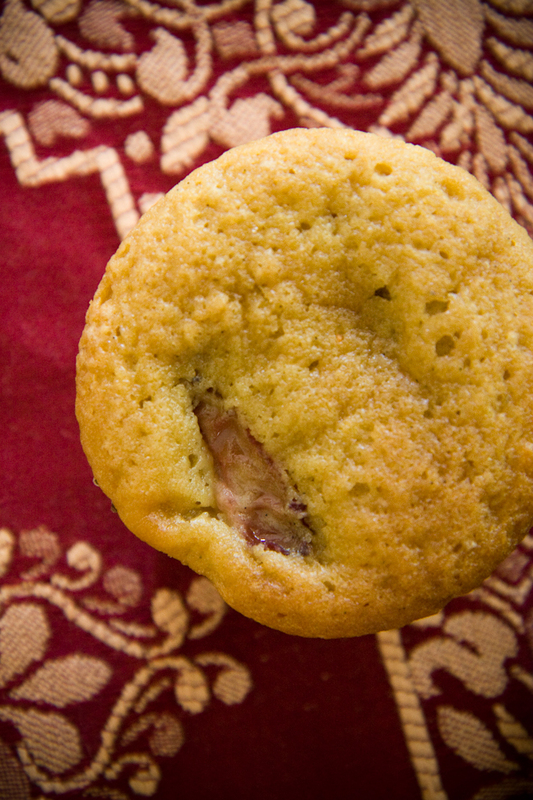 So, I’m a bit ashamed to admit that the frosting for my peach cobbler cupcakes was “made” by opening a jar of Tamarin spread (the spreadable Biscoff cookie), taking out a knife, and shmearing it on the peach cobbler cupcakes. I’m only “a bit” ashamed because spreading a cookie on top of a cupcake might just be one of my very best ideas. So easy and so delicious! Try it!